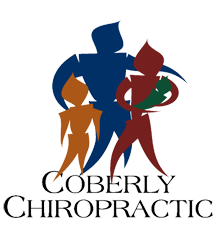 Let Chiropractic Care Put the Oomph Back In Your Dance Steps – Coberly Chiropractic, Inc. Most people love hearing these words, and wholeheartedly jump to the dance floor to twist and shout with the best of them. 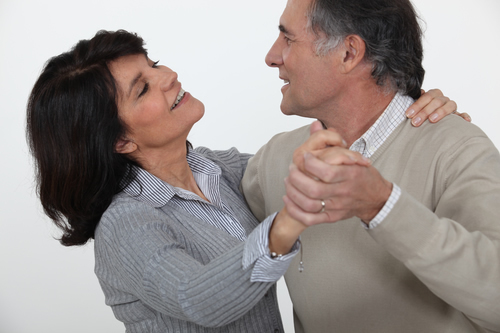 Some even take classes to learn to swing, tap, or ballroom dance. Others even train and compete. It’s big fun, and provides social interaction and exercise. While some don’t view it this way, dancing is a sport. As such, dance moves can put pressure on your body that causes injury. Common dancing injuries include foot and ankle sprains, pulled knees, and stress fractures. If you have shimmied your back out, or do-si-do’d your knee into a stiff, painful mess, it’s time to call the best dance partner you have ever had: your chiropractor! Chiropractic care helps dancers prevent and cope with injuries in a variety of ways. Dancing requires coordination and balance that comes from strong muscles, bones, and ligaments. If your body is tight and ill-prepared for exercise, you could end up busting a move in the wrong way on the dance floor. Chiropractic care can, over time, help strengthen your muscles and align your spine so your body is in prime condition for physical activity, with minimal risk of injury. Chiropractic visits work wonders from the neck to the feet in putting the body back in its top performing form. In addition, your chiropractor can offer an at-home regimen of stretching exercises that serves to further promote healthy joints, tendons and muscles. For those who dance regularly, painful feet, ankles and knees may be viewed as part of the package of doing something they love. This doesn’t have to be the case. By committing to regular chiropractic care, dancers improve their range of motion, and keep muscles and joints loose and functioning correctly. Chiropractic care during a regular routine of dancing plays into staying healthy and mobile. Dancing requires a body to move, turn, and stretch in ways that it may not be accustomed. If you ignored proper preparation, or ended up taking precautions and suffered an injury anyway, you may experience pain and loss of mobility. Make an appointment with your chiropractor as soon as possible. Many common bodily injuries can be dramatically improved by a regimen of chiropractic care. From sprains to strains to misalignment, a few visits to your chiropractor offers multiple benefits. The first is pain management, often without drugs. The second is injury improvement by performing manual manipulations, known as adjustments, that stretch the injured area and promote healing. The third is increased mobility. Finally, chiropractic care assists the body in knitting itself back together so well that it minimizes the chances of future injury. If you have been dancing on and off or regularly for years, or if you are thinking about taking up dancing, know there are many great benefits from incorporating it into your routine. However, you need to take proper precautions to reduce the risk of suffering an injury as you move. Make sure to choose a nutritious diet and stay hydrated while you dance, and wear properly fitting clothing and shoes. Strive to practice the moves correctly, as well as maintain correct posture. Don’t overdo it, because pushing your body past its limits is a surefire way to cause an injury. Also remember to always stretch out and warm up before dancing. By following these simple suggestions, you can hit the floor when the music starts and dance until you wear out, enjoying the health benefits dancing brings, while avoiding the injuries.